The meet kicked off on Friday with the 1500m race walk. Aa'Mylah Coston, of the Chester Cheetahs Track Club, took the girls' 9 year old age category title and broke the meet record with a time of 10:38.90. Nathaniel Samson of V02max Track Club took the boys' 9 year old win and broke the meet record with a time of 11:35.48. Moving up an age group, 10 year olds Margret Rankin (of the Severn Highsteppers Track Club) and Alaun-M Christian took their age group with the times of 9:34.22 (new meet record) and 10:45.76. Kolby Moody (Delta Speed Track Club) took the girls' 11 year old title with a time of 10:06.59 which is also a new meet record. For the 12 year olds, Aoi Barnes (FPYC Cheetahs) took the girls' title and the new record with a time of 9:05.79 and Richard Miner (of Prominent Athletes) secured the boys' title with a time of 12:31.87. Next, the 13+ race-walkers took on the 3,000m race walk event. Tiarra Jackson, of Velocity Track Club New York, took the girls' 13 year old win and set a new meet record with a time of 18:03.11. 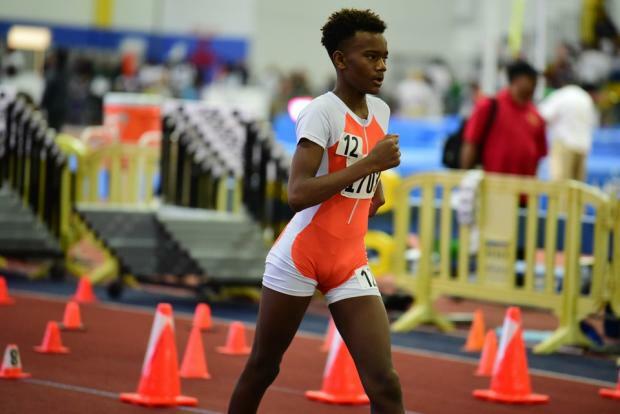 Another FPYC Cheetah athlete, Aiko Barnes, took the girls' 14 year old title and set another meet record with a time of 19:37.24 with Shamiso Sikaneta (Flying Angels athlete) who took the boys' 14 year old title with a time of 17:27.77 as well as breaking the meet record. For the 15/16 year old girls, Priya Mitra took the win and broke the meet record with a time of 22:07.64. We continued on with the 200m dash semi-finals and the top 8 times advanced to the finals on Saturday and then the 1,500m race commenced. 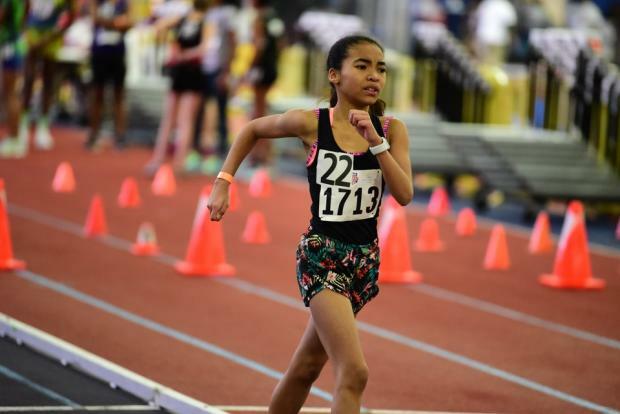 The 13 year olds kicked off this mid-distance event with Hannah Adhikari (of Unity Express Track And Field) and Ladanian Mcgrath (of Camden Clock Chasers) taking their age group titles with times of 5:01.45 and 4:42.43. 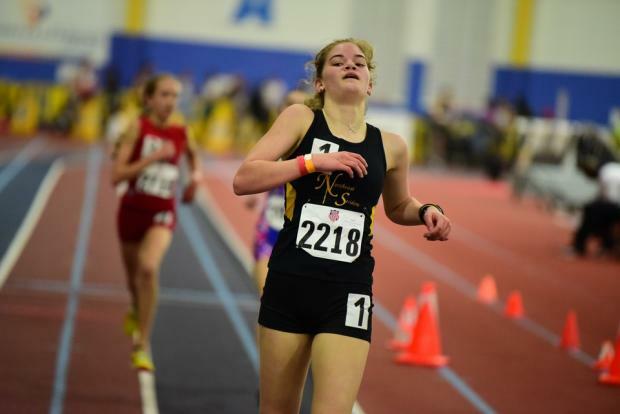 Jessica Secor (of Northeast Striders) took the 14 year old girls' 1500m win with a speedy time of 4:55.08 (also a new meet record) and her male counterpart, Ashton Tolson of Baltimore City Track & Field came in at a 4:39.02. Storie Kulynych-Irvin dominated the 15-16 year old race and clocked in at a 4:59.81 while Nirob Smith-Mills (of Bermuda Pacers Track Club) took the boys' title with a time of 4:23.09. The 17-18 year old category had Lacey Eden and Aaron Modrow as it's victors with times of 4:54.79 and 4:10.69, two new meet records. For the open race, Keegan Cochrane ran a 4:22.09 to grab the win. Tamika Brown of Port City Track Club also secured the masters win with a time of 5:48.51 as Dietrich Rush grabbed the men's masters win with a 5:25.12. The day ended with 400m dash semi-finals and the top 8 times advanced to the finals on Sunday.